This is a high watt DC-DC Buck converter based on XlSemi's XL4016 DC to DC converter chip. The module has been provided with two trim pots one is for setting the output voltage and the other is for Constant Current (CC) adjustment. Output setpoint voltage must always be lower than applied input voltage. 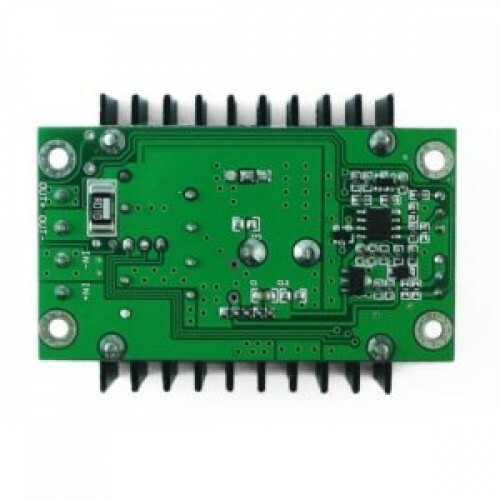 XL4016 ICThe XL4016 from XL Semiconductor is a 180 KHz fixed frequency PWM buck (step-down) DC to DC..
600 Watt Step Up Power Supply Module600 Watt Step Up Constant Voltage, constant Current Adjustable P..